One of my favorite comics being put out every month is Eric Powell’s masterpiece “The Goon.” For years now people have been clamoring for a movie adaptation and finally we might get an answer to our prayers…at the right price. At SDCC two years ago, they showed a proof-of-concept trailer for an animated Goon movie and people went crazy. 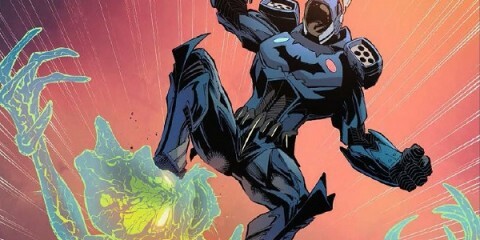 Now they’ve teamed up with Blur Studios, Dark Horse Entertainment and “Fight Club” director David Fincher, alongside Clancy Brown and Paul Giamatti (playing The Goon and Franky respectively) to bring The Goon Movie to life. But movies aren’t cheap and a lot of studios either don’t have or don’t want to put the money into a project like this and that’s why the team has turned to Kickstarter. Kickstarter has been giving people and studios a reason to believe ever since the Double Fine project became one of the most talked about stories of the year. 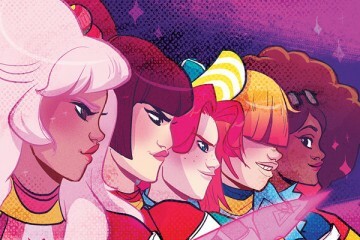 Since then, different film companies, video game companies and comic book writers/artists have been turning to Kickstarter to fund their projects, all with the help of dedicated fans who want to see them succeed. But it’s never easy, and for The Goon it’s an uphill battle. They need 400,000 dollars in, as I’m writing this, 29 days. So far they have raised almost 60,000 dollars but they’ll need all the help they can get. 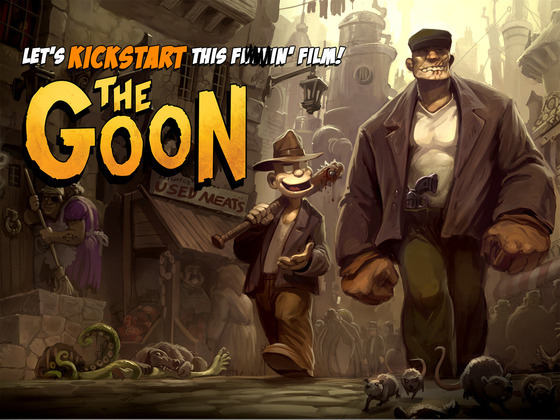 I want to see a movie version of The Goon. Everyone out there should get to see a movie version of The Goon. Hopefully with the help of comic book and movie fans alike we can see this project come to life. Plus you get a bunch of free stuff and free stuff is always a plus isn’t it? Secondly, the now famous proof-of-concept trailer that has been making the rounds online. Hopefully it will inspire you to believe in this project as much as I do, but if not it’ll at least be an awesome trailer introducing you to a great idea.